Although many understand hip-hop as simply a music genre consisting of rap and electronic beats, in actuality, hip-hop is an urban art form that depicts reality in the form of skillful lyricism designed to expose social issues and produce political change. The candid nature of hip-hop propels artists to shed light on pressing issues, and challenge, chastise, or address society’s shortcomings. 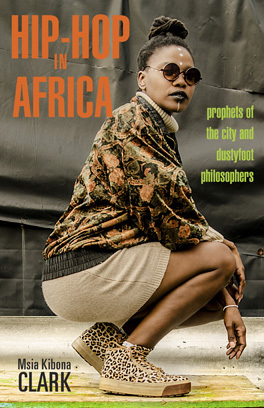 Botswana’s Lebo Tsiako, more popularly known by her stage name, Enigma, is a talented hip-hop artist and emcee who both confronts and defies the stereotypes and prejudices which are embedded into a male-dominated society. In Enigma’s track, ‘Hard on Flow,’ she addresses the gender hierarchies intertwined with inequality while embodying a powerful persona which status quo generally reserves for men. She starts off with a line calling herself a “lyrical hermaphrodite, male & female intertwined,” making the point that sheis as strong as patriarchal society claims only men can be. The lyric utilizes irony to hint that if she was merely female, she wouldn’t be as great as she is, a sentiment that disproves itself. The next line, “ain’t no weakling, I’m a strong diva,” contradicts the popular conventionalized idea that women are weak. She continues to send social messages and dismantle the rationality of gender stereotypes in her next line, “go so hard they gotta question my gender.” This line tackles sexism directly, pointing out that the public questions women in strong positions and asserting Enigma as a strong woman. The following bars could be considered vulgar or un-lady-like, as she unapologetically disregards traditional female gender roles and raps, “he gave me 47 chromosomes, one for Viagra, stay hard all the time, erectile enigma.” The line is another metaphor displaying a refusal of the harmless and polite disposition women are expected to have. Throughout the song, Enigma addresses her place in society, sending a social and even political message to her audience to remind listeners that we are all equals.